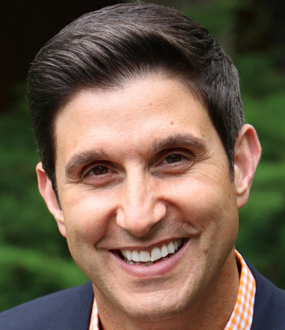 Paul Vitale began his career with the largest marketing firm in Arkansas, Cranford Johnson Robinson Woods, where he worked with a team responsible for all of the Natural State’s tourism promotion. He went on to become the director of the Convention and Visitors Bureau in Hot Springs, Arkansas before founding Vital Communications, Inc.
Paul has written three best-selling books, Are You Puzzled by the Puzzle of Life?, Sell With Confidence and Pass It On. 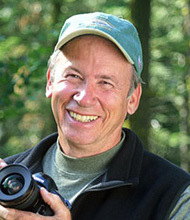 He has been featured on NBC, ABC and FOX, and he is a regular guest on talk shows. Currently, Paul serves on the Board of Directors of the Arkansas Travel Council and volunteers with Big Brothers/Big Sisters, Arkansas Children’s Hospital, the Cystic Fibrosis Foundation and the Arkansas Hospitality Association. Paul Vitale has become one of America’s most sought-out speakers and trainers while using his unique combination of passion, energy and experience to encourage and motivate others. The founder of Vital Communications, Inc., Paul is a native of Arkansas and received his degree in mass communications and journalism from the University of Central Arkansas. For more than fifteen years, Paul has impacted individuals and organizations, imparting an understanding of the leadership and passion required to excel. Through his keynote presentations, seminars and retreats, Paul helps his clients build strong teams and increase productivity. He speaks worldwide about the significance of optimism, a strong work ethic, and concepts vital to personal and professional growth, while reaching hundreds of thousands of people from all walks of life. Paul’s energetic and enjoyable presentation style have made him one of the most requested speakers at hundreds of universities, meetings, conventions, seminars and training conferences. His diverse client list includes ESPN, the United States Postal Service, Southwest Airlines, the U.S. Chamber of Commerce, the Washington Redskins, Landstar Global Logistics, the Georgia Department of Education, Tyson Foods, the Minnesota Vikings, the Antiques Roadshow, the University of Kentucky and Dole Hong Kong. Paul has written the best sellers Are You Puzzled by the Puzzle of Life? ; Sell With Confidence; and Pass It On. He has also written several curriculums in use across the nation and recorded Live Life Like You Mean It. Paul has been featured on NBC, ABC and FOX, and is a regular guest on talk shows sharing his insight and life strategies. Paul’s expertise, enthusiasm and ability to encourage people to exceed their potential have been described by his audiences as extraordinary. In his spare time, Paul enjoys volunteering with Big Brothers/Big Sisters, Arkansas Children’s Hospital, the Cystic Fibrosis Foundation and the Arkansas Hospitality Association. He is a graduate of the Little Rock Citizen’s Police Academy, Leadership Greater Little Rock, currently serves on the Board of Directors of the Arkansas Travel Council and was commissioned a Kentucky Colonel. Recognized by Arkansas Business as one of its “Forty Under 40,” Paul was selected by its readers as Best Motivational Speaker and Trainer. In this speech, Paul discusses the entrepreneurial spirit. He describes the type of personality it takes to become an entrepreneur. “It takes courage, it takes guts, it takes those who know how to persevere, and it also takes those who understand that at the end of the day it’s not an easy task to step up and try something new,” he says. Paul Vitale was named “Best Motivational Speaker and Trainer” by readers of Arkansas Business, which listed him as one of its “Forty Under 40.” For over 15 years, Paul has motivated audiences worldwide through an understanding of the leadership and passion required to excel. 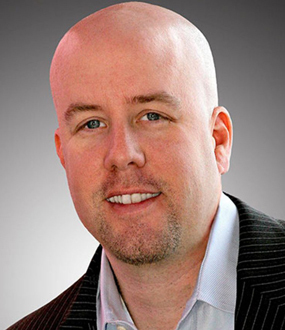 His keynotes, seminars and retreats help clients build strong teams and increase productivity. His programs discuss the significance of optimism, a strong work ethic and concepts vital to personal and professional growth. 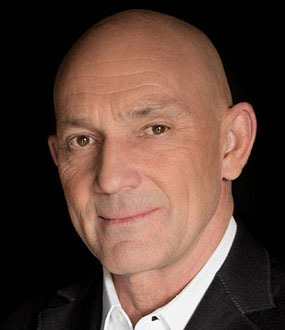 Paul’s energetic and enjoyable presentation style has made him one of the most requested speakers at hundreds of universities, meetings, conventions, seminars and training conferences. His clients include ESPN, the United States Postal Service, Southwest Airlines, the U.S. Chamber of Commerce, the Washington Redskins, Landstar Global Logistics, the Georgia Department of Education, Tyson Foods, The Minnesota Vikings, the Antiques Roadshow, the University of Kentucky and Dole Hong Kong. Paul’s unique combination of experience and energy will rejuvenate your organization. Whether motivating, facilitating or directing others, Paul brings his knowledge and professionalism to your group as he enthusiastically gives his presentation. He conducts over 100 seminars and keynote addresses annually for corporations, associations, universities and high schools across America. Paul customizes his multi-media presentations to meet the goals and objectives of your group! world today, enthusiasm coupled with a positive attitude pays large dividends and leaves an everlasting mark. History has shown that a mediocre idea that generates enthusiasm will go miles further than a great idea that inspires no one. Maintaining simplicity in everyday life might sound like wishful thinking. However, keep in mind that we each control our actions and reactions. If we make a conscious choice to embark down a path, it is our responsibility to follow through with conviction. During Keep It Simple, Paul shares insights critical to being effective through straightforward strategies such as: (1) failure to prepare is preparing to fail; (2) you can’t win until you’re not afraid to lose; (3) to avoid criticism do nothing, say nothing, be nothing; (4) but above all believe that you can achieve; and (5) your consistency to achieve what you believe. With the many decisions required in any given day, it is easy to become overwhelmed and flounder rather than move in a positive direction. By concentrating on keeping it simple, individuals can achieve their goals, one step at a time. After all, it is our life to live–and our actions determine our outcome. As life passes one day to the next, there is no better time than now to challenge our next generation of youthful leaders to maximize their potential to the fullest. It′s Your Life - Dominate It, encourages students of all ages to make each moment of their lives count for something special. During Paul′s high-energy presentation, attendees can expect to hear in-depth remarks and observations on the following major points: (1) choose challenge over comfort; (2) exemplify confidence not arrogance; (3) pursue knowledge enthusiastically; (4) undoubtedly be yourself; (5) dwell on what you have, not on what you want; (6) don‚t sabotage yourself; (7) promote hope over hatred; and (8) create memorable impressions. The concepts presented in this dynamic presentation will captivate and inspire students to not merely exist, but thrive and excel in this constantly changing world. Being able to define enthusiasm, determine where your particular passions lie and what can be done to make those passions shine are keys to maintaining enthusiasm in the whirlwind of life today. The ideas and principles rediscovered in this seminar will not only reinforce why enthusiasm works, but also provide the tools necessary to wake up each day and embrace it. In this dynamic presentation, Paul reinforces these practices among others: (1) choose the “wow” over the “towel”; (2) examine confidence from within; (3) react calmly, steadily and remain composed; (4) communicate memorable messages; (5) emphasize the positive, release the rest; and (6) recognize influential surroundings. Life is chaotic and it is sometimes easy to feel beaten down. However, finding what motivates, what instills passion and what drives one forward requires individual effort. By focusing on these things, participants will learn to use the energy derived, channeling it into things they may be less enthusiastic about. Then, they will learn the secret to maintaining enthusiasm. Resolving conflict within a team is crucial for optimal results in the areas of productivity, growth and morale. When continued struggles, animosity or disagreements become the focal point of various individuals’ attention, the entire organization is affected. Paul introduces ideas on how to isolate and effectively resolve conflict including: (1) implement a resolution process that works; (2) accept the responsibility to change; (3) exercise respectful communication skills; and (4) improve everyday efficiency. Properly executed, conflict resolution causes people to listen to and consider different ideas, contributing to a positive culture rather than a hostile environment. The concepts put forth in Resolving Team Conflict Effectively will enable individuals to minimize negative behaviors, broaden their alternatives and manage conflict constructively. Encouraging the acceptance of differing opinions promotes increased collaboration and commitment to the goals and ideals of the team. With the cooperation of those involved a negative situation can be turned into a positive one through effective conflict resolution. If you knock once and there is no answer, then knock again. Very few ideas define the spirit of salesmanship better than this one simple concept. In Sell With Confidence—Unlock Your Potential Paul will empower your sales team by providing strong fundamentals that refine techniques and increase productivity, such as: (1) commit to reaching your full potential; (2) structure the day to work in your favor; (3) develop sound mentors; (4) put your rivals to work for you; (5) seek out new business leads; (6) understand why some say “yes” and others say “no”; and (7) arrange a sturdy framework. During these uncertain economic times, the need for a proactive business stance is the strongest it’s been in recent history. 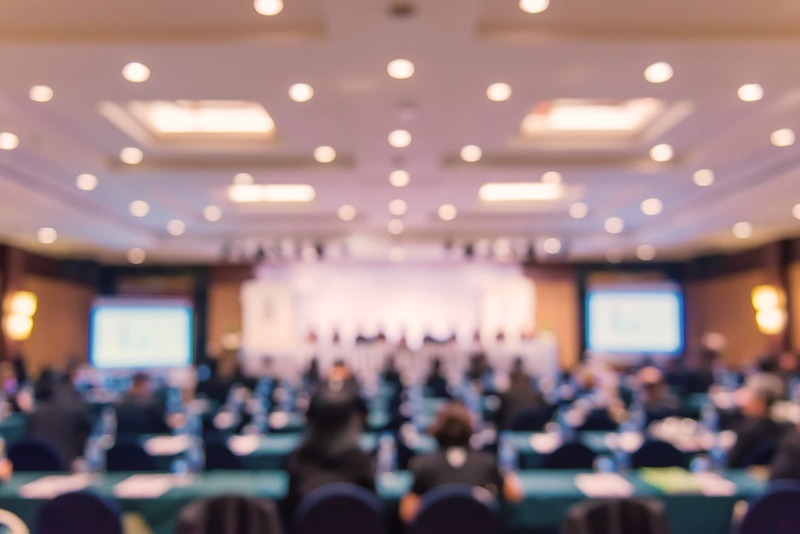 The essentials of salesmanship offered during this spirited presentation will help your team build quality business relationships and move from marginal to memorable. The strength of a team is centered around the individuals who comprise the group; the strength of a leader begins with the team. In Inspired Teamwork & Leadership, Paul details the following significant traits: (1) dare to dream courageously; (2) establish a course of action; (3) empower others to imagine; (4) unite a common bond; and (5) be resilient like none other. Uniting for a common cause, understanding and respecting diversity and encouraging individuals through positive actions are all elements of this empowering presentation. Throughout generations there have been those called on to lead—courageous individuals who have taken great interest in the well-being of others. In the presentation Legendary Leadership in Action, Paul demonstrates concepts crucial to becoming a legendary leader. He outlines ideas that might seem basic at first glance, but are vital for the continued success of any organization. (1) Express genuine interest in mankind; (2) encourage steady streams of dialogue; (3) ignite the eagerness in others; (4) compose unique designs; (5) exhibit authentic actions; (6) reinvent tendencies and techniques; and (7) trust in the truth of courage are the primary concepts introduced during this thought provoking and energetic presentation. Making a change or an adjustment often produces a certain degree of discomfort. Studies have shown that in order to take action, the disadvantages of a current behavior must be strong enough to encourage an individual to recognize that a change needs to take place. Paul outlines seven important concepts that revolve around the idea of change: (1) recognize the need to change; (2) accept personal responsibility; (3) know the desired behavior; (4) see yourself actually changing; (5) step up and make the change; (6) practice your change daily; and (7) ask for feedback often. You Choose Your Change challenges participants to consider each aspect of their lives and how beneficial making a positive adjustment can be. Everyone talks a lot about providing quality customer service, but Paul shows you and your team how to make this precept the beating heart of your daily interaction with your customers. Every team member who is on the frontline of your business will learn the necessary skills and attitudes to make providing quality customer service more than a slogan. (1) Why customers don‚t return; (2) the service model; (3) understanding your customer‚s needs; (4) realizing the importance of your customer; (5) customer courtesy rules; (6) consistently satisfying your customer; (7) effective communication with your customer; and (8) the benefits of quality customer service are all discussed during this interactive presentation. Customers expect value for the money they spend with us. Paul encourages the participants to focus on key aspects of quality customer service that help ensure strong business relationships, as well as the longevity of financial success. The infancy of successful programs, social movements and partnerships begins with a shared vision that over time has the potential to breed greatness within the confines of a community, as well as beyond. For many, what begins as challenging the process is turned into a vision that develops into a greater idea, fueled by those who are encouraged to take ownership in the cause. Keeping the community excited, involved and supportive will all take center stage as you: (1) understand the specifics of your program; (2) research your target audience; (3) maximize all the tools at your disposal; (4) think smart when dealing with the parameters of your budget; (5) allow the power of networking to overcome obstacles; and (6) share your news with the world. It is critical that the most effective strategic plan is put in place at the beginning of any project, knowing the limitations on both manpower and dollar power. With this in mind, each participant will be challenged to focus on the small things that may help those leading the charge achieve the larger things down the road. The business world today revolves around a productive exchange of ideas, practices and goals, typically conducted in a meeting forum. Organized procedures allied with active and eager participation are often determining factors for a meeting′s effectiveness and success. During the presentation Effective Meetings - Steps to Success, Paul demonstrates the following concepts crucial to being a successful facilitator: (1) common questions surrounding effective meetings; (2) preparation ensures productivity; (3) responsibility of the facilitator; (4) standard parliamentary procedure; (5) the art of engagement˜through communication; and (6) the members′ bill of rights. By following a few simple rules and not being afraid to change how things have been done in the past, meetings can once again become empowering and productive. With increasing competition in the workforce today, there is no better time than now to challenge young people to take ownership in their career planning. Regardless of whether an individual chooses to attend college or enter the workforce directly from high school, our future will be molded by these youthful minds. In the dynamic presentation Unleash the Power of YOU! Paul encourages students to develop realistic and obtainable goals while achieving their maximum potential. Students can expect to hear in-depth remarks and observations on points such as: (1) set free your imagination; (2) discover your genuine worth; (3) examine your endless opportunities; (4) map your unique course; and (5) deliver your mark on history. The time is now to continue challenging students to raise their expectations, not only about themselves, but also about the nation that we call home. The better prepared our future workforce is today, the greater success we will share tomorrow. Many individuals have the opportunity to attend college, but not everyone makes the most of it. During this presentation, Paul shows current as well as college-bound students how to make this period a defining chapter of life. Paul speaks from his own experiences of being the president of his college fraternity, vice president of the student body, a baseball letterman and a student orientation director. He demonstrates effective ways of: (1) communicating successfully with roommates; (2) developing a true balance between social activities and academics; (3) establishing effective study habits; (4) becoming involved in campus organizations and activities; (5) managing finances; (6) having the best time of your life; and (7) surviving different types of relationships. Having the privilege of attending college is an everlasting experience. Students will be encouraged to make the best of each situation that is presented and to remember that a good education is extremely powerful. Making the decision to become involved in the Greek community is a major step for anyone. The opportunity to learn and exercise a variety of skill sets while developing and maintaining healthy relationships are just a few benefits of the entire process. To make your own campus chapter more relevant and successful, Paul shares a number of his own personal successes and failures as the president of his fraternity while intertwining the following: (1) the power of influence; (2) the perception of your chapter; (3) becoming actively involved in campus activities; and (4) developing strong leadership skills. The significance of the sorority and fraternity experience has powerful implications for success in life far beyond the campus. Each individual who wears the letters of a Greek organization must always remember the great responsibility for the generations he or she represents. We all have dreams and ambitions; however, at times it is easy to become baffled and challenged by the jigsaw puzzle of life. Paul takes the precepts outlined in his national best-selling book, Are You Puzzled by the Puzzle of Life? and gives participants a user friendly roadmap for making sense of their life puzzle. Paul illustrates four basic concepts that enable us to make the best out of each opportunity while navigating through the ever-changing puzzle of life: (1) the power of choice; (2) all you have is your name; (3) perception is reality; and (4) you only live once. Each day we are given the chance to encourage people through positive actions and reactions. Paul will remind the attendees that we will all leave some type of mark on the world around us. According to the National Education Association, when parents choose to be involved in their children’s education positive results occur. From improved student achievement to reduced absenteeism, parental involvement is critical for the longevity of success in our education system. During this interactive presentation, Paul encourages open discussion and shares a number of pertinent ideas and concepts such as: (1) defining true parental involvement; (2) parental involvement is imperative; (3) sustaining and encouraging parental involvement; and (4) communities, parents and teachers as allies. Enlisting the aid and support of parents provides a better chance to develop the social, emotional and academic growth of children. Paul reinforces these and other ideas related to the importance of what takes place in the classroom and what takes place at home. 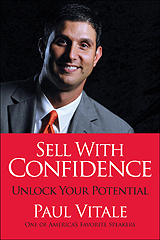 Paul Vitale will help unlock your sales potential through the fundamentals found between the covers of Sell With Confidence. These pages were written with the sales professional in mind who strives to build quality business relationships and move from marginal to memorable. Each independent chapter examines the human factor of selling as well as the entire process of salesmanship. Take advantage of numerous keys found in the “Call to Action” segments that will challenge you to employ practical ideas, with outstanding results. 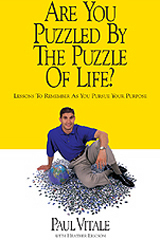 Paul’s best-seller, Are You Puzzled by the Puzzle of Life?, provides insight and encouragement into finding one’s niche. 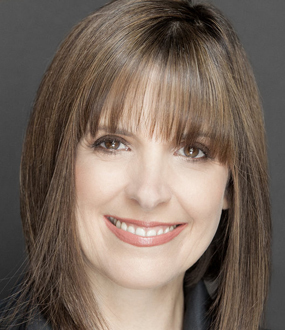 With personal anecdotes and the contributing thoughts of successful people such as Bonnie Blair and George Clooney, Paul’s book provides lessons for living, such as the importance of protecting one’s reputation, taking personal and professional risks, and nurturing relationships. Are You Puzzled by the Puzzle of Life? is a vital tool for anyone who is searching for a purpose or is in pursuit of a dream. 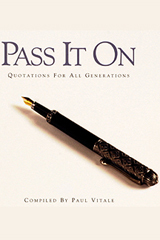 Pass It On is a collection of inspirational and motivational quotes from a variety of individuals, past and present. The pages are full of ideals that leaders have passed on to their followers, that mothers and fathers have passed on to their children, and that we, as free spirits, continue to voice to those who are eager to listen. With powerful and uplifting words from Dorothy Day, George Bernard Shaw, Martin Luther King Jr., Charles Darwin, John F. Kennedy and hundreds more, Pass It On will turn the darkest days into days filled with an abundance of light. You will discover 365 unique quotes that have been passed on from generation to generation. If you find pleasure in reading quotes, collecting them or teaching them to others, you can rely on the book Pass It On as a wonderful resource. Live Life Like You Mean It is a theme that urges each of us to take full advantage of the time we have been allotted on this planet—no matter where we’ve been, where we are and where we plan to go. From start to finish, Paul encourages the listener to take action through the introduction of his five straightforward principles. It has been said, “Man reveals himself not in his thoughts, but in his actions.” There is no better time than now to make a positive change, introduce an innovative idea, change your lifestyle or rebuild a relationship. 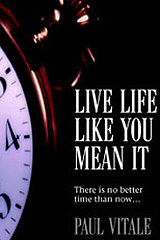 No matter what it is….it’s your life to live like you mean it.